I’m delighted to confirm that this month’s Sky at Night will cover Galaxy Zoo. Patrick talked to Hanny earlier in the summer, and Bob, Kate and I spent some of last weekend talking in front of the cameras. We talked for more than an hour, and the team led by producer Jane Fletcher have spent the last week editing us down so that we fit within the programme. I have no idea what they’ve come up with, and am looking forward to seeing it. BBC One : Midnight, Sunday night (ie early Monday morning), repeated on Saturday 13th at 2pm on BBC Two. BBC Four : Special EXTENDED edition (30 minutes instead of BBC one’s 20) : Tuesday evening at 7.30pm, repeated at 1.35am on Wednesday morning. The show will also be available on the iplayer for a week after broadcast. The show will turn up on our webpage at a week or two after broadcast. I am eagerly looking forward to watching GZ on The SKY AT NIGHT. Thank you very much, Chris for the timely notification.. Thank You for planning an availability for those of us outside the UK. Would I be right in guessing GZ2 will launch to coincide with the programme? If not I would suggest that might be a significant PR opportunity missed… but that’s just IMHO. As someone who spends too long using i-player, especially for the radio programmes, I am confident that the answer is that both versions will be available. i-player is indexed by TV station, so you can browse the past week on BBC1 and BBC4. Looking forward to it more than somewhat. The dimwit can answer: http://www.bbc.co.uk/programmes/b00dghq7. There is also a “download” section, but evidently it’s unavailable to download. That’s here: http://www.bbc.co.uk/iplayer/episode/b00dghq7 and it may sort itself out later. Oh dear – my comment hasn’t appeared – if it does later, excuse me. Anyway, the dimwit has managed to find http://www.bbc.co.uk/programmes/b00dghq7, which is already working, and http://www.bbc.co.uk/iplayer/episode/b00dghq7 where it will apparently be working soon. Hi Alice, sorry the blog software noticed you had links in your comments and sent them to the spam folder. I rescued them to here. Sorry about our overzealous spam firewall; with the links that spammers try to post here, we need to have something, but we keep an eye on it to make sure real comments don’t get lost. This could have done with more coverage.Has it ever been mentioned on the news or is it only for those of us that watch the program ? Sorry – what could have done with more coverage? As always I loved the show, had expected galaxyzoo to show up on the show for quite a while now. I saw the episode, it was excellent. It featured an amazing animated zoom-out of thousands of galaxies, but did not say where the animation comes from: does anyone know? I saw the episode. Found it very interesting and decided to try out galaxyzoo.org for myself. 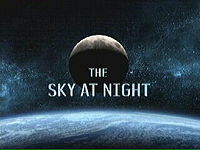 Finding it very interesting and useful way of spending time when skies aren’t up to much. One question – how come I’ve never heard of the site before? I’m annoyed to see that the BBC have stopped updating TSAN archive. They could at least have given some notice that was to happen! Now I’ve (irretrievably?) missed the last two programmes, including the one about Galaxy Zoo B-/ I hope they’re repeated. I wonder why the facility was withdrawn? Perhaps all the recording servers are being converted from RealPlayer to iPlayer or replaced. I don’t see why a few programmes (or maybe just TSAN!) can’t be made permanently available via iPlayer, and perhaps even abroad. I think I’ll write to the Beeb about it.